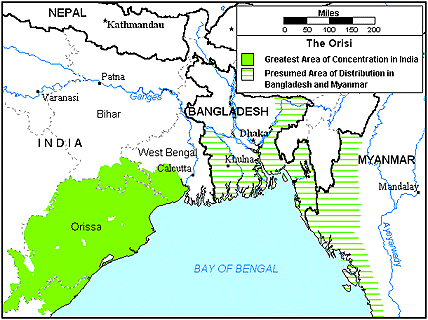 While several million Orisi live in India, a smaller group can also be found in neighboring Bangladesh. Those in Bangladesh live in a hot, rural area that is subject to annual flooding and deadly cyclones. They are also victims of malnutrition and overpopulation. The economy is dependent on agriculture; however, the land remains highly undeveloped. The Orisi speak an Indo-Aryan language called Oriya. The emergence of Bangladesh is a recent one that grew out of conflicts between Muslims and Hindus in India. In the 1930s, a growing Muslim population desired to break away from a predominantly Hindu India. The result was Pakistan. The Muslim majority in Bangladesh also wanted to separate from India. 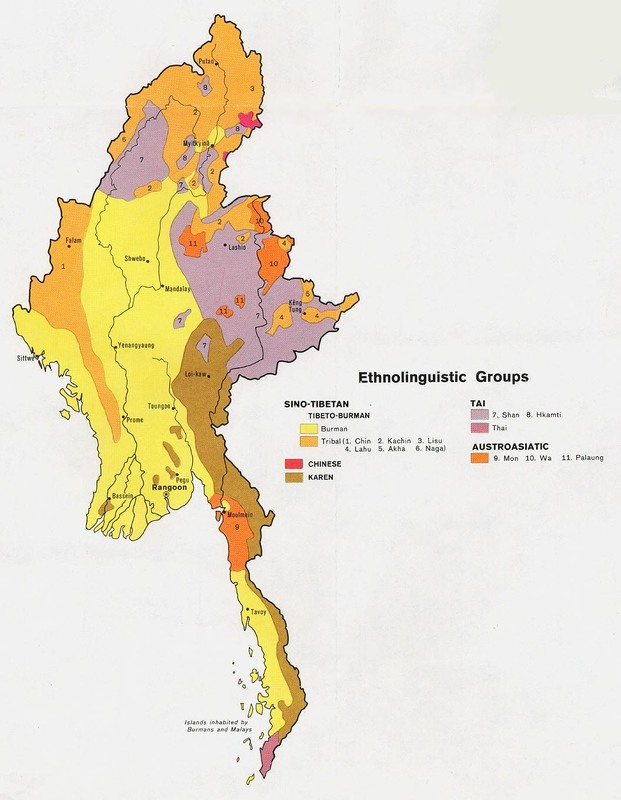 It joined a district of Assam to become East Pakistan. However, it was greatly discriminated against by West Pakistan for over 20 years. In 1971, a civil war broke out, ending with an independent Bangladesh. Bangladesh is a rural delta region that has very fertile soil due to annual flooding. Consequently, most of the Orisi earn a living as farmers. Rice is the principal crop in Bangladesh, just as it is in most of central and eastern India. Wheat, barley, and corn are also raised for consumption, and jute is cultivated for export. Because the people are so dependent on farming for survival, some of the children do not attend school during critical agricultural seasons. Among the Orisi, the men's responsibilities include sowing seed, plowing, hunting, and fishing. The women are responsible for weeding the fields, tending to the household chores, and taking care of the children. Men commonly to use poles balanced on their shoulders to carry goods, while women carry things on their heads. The typical village setting for the Orisi consists of bamboo huts situated in fertile river valleys or tropical savannas. Small vegetable gardens and fruit trees are located in the backyards of most houses. In the flooded coastal areas, the houses are surrounded by rice fields. This allows the farmers to give the crops year-round attention. The cultural history of the Orisi includes an excellence in art. They are famous for their unique folk paintings, sculptures, and architecture. Dances and music are also a part of their heritage, including dance drama and folk opera. The Orisi are almost entirely Hindu. They constantly struggle to win the favor of their deities, the "disease spirits," and the village gods. Gunias (magicians) practice witchcraft and sorcery in the villages. Extensive rituals and festivals are celebrated throughout the land, including the New Year's festival and the Fertility of the Earth festival. The Orisi believe that sickness is placed on people by evil spirits and witches. They also sustain the belief that planets and stars in the zodiac are responsible for an individual's physical and mental condition, and that leprosy is a punishment for great sins. They look to herbal folk medicines, exorcisms, and the gunias for cures from these and other illnesses. The Orisi believe that death is simply a passing from one life into the next. They believe that this cycle of death and rebirth will continue until the spirit merges with the person's "absolute soul." They believe that Yama, the god of justice, sends the soul to heaven or hell. The Bible has been translated into the language of the Orisi, and the Jesus film is also available. However, satisfaction with Hinduism and devotion to this religion has hindered a breakthrough in their lives. Physically, the Orisi are in desperate need of trained medical workers, adequate health care facilities, proper nutrition, and greater educational opportunities. More importantly, however, these precious people need to know that Jesus has the power to cure all of their diseases and to cause them to prosper. Prayer is the first step toward seeing them reached with the glorious Gospel message. * Ask the Lord to call people who are willing to go to Bangladesh and share Christ with the Orisi. * Pray that God will provide contacts, strategies, and wisdom for missions agencies working among the Orisi. * Ask God to give Orisi believers opportunities to share the love of Christ with their own people. * Pray that Christian medical teams and humanitarian aid workers will have opportunities to minister Life to the Orisi. * Pray that God will call teams of intercessors to faithfully stand in the gap for the Orisi. * Ask the Lord to raise up many strong churches among the Orisi.View South Asian, Odia Speaking in all countries.